Do Happy Employees Really Lead to Happy Customers? You've probably heard the platitude, "Happy employees lead to happy customers." It's one of those sayings that just sounds right. Famous leaders have said it. Not-so-famous leaders have said it, too. It's all over the internet. The things we believe have a mixed track record. Some things are supported by facts and analysis, while other beliefs are driven by anecdotal evidence. There are even a few oft-quoted statistics that are simply false, such as "55 percent of communication comes from body language." It does not. So I decided to investigate the happy employees equal happy customers claim by reviewing Glassdoor ratings for the 20 companies with the best customer service. This list was compiled by Christopher Elliott using data from the American Customer Satisfaction Index (ACSI). 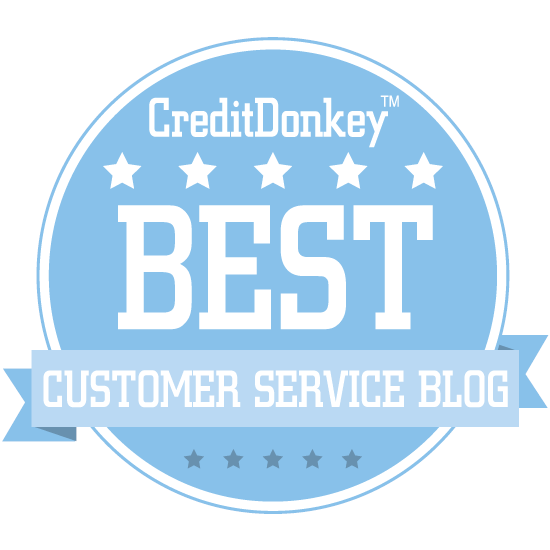 The average Glassdoor rating for the top 20 customer service companies is 3.8 (out of 5), compared to the average rating of 3.4. The companies are listed on the chart in the order they appear on the top 20 list, so Chick-fil-A is number one while Mercedes-Benz is the twentieth company. While the average ratings for this group are generally high, these aren't necessarily the elite companies in terms of employee ratings. Only seven companies from the list on are Glassdoor's 2018 Best Places to Work list. 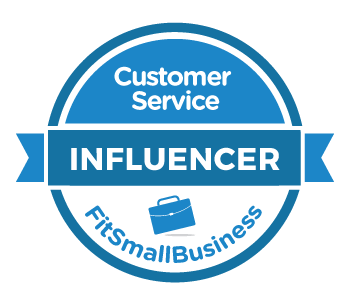 Proving that there are outliers everywhere, customer service laggard United Airlines is ranked #55 on the Glassdoor Best Places to Work List, despite a dismal 2018 ACSI rating of 67. Glassdoor has something akin to an eNPS rating where reviewers can indicate whether they would recommend working at their company to a friend. The average recommend to a friend percentage for the top 20 companies is 71 percent compared to the 49 percent Glassdoor average. The average is denoted with a large red X. Only one company on the list, Lexus, has a lower recommend percentage than the Glassdoor average, with just 48 percent of employees saying they would recommend the company to a friend. One anecdotal note here is companies with elite service cultures can sometimes be very polarizing. The right employees love it while other employees are uncomfortable. Amazon provides a good example. The company has a 3.8 Glassdoor rating and a 74 percent recommend rating. One happy employee wrote, "An Amazing Place to Work" and rated the company five stars, while a two-star reviewer wrote, "Exciting work, abusive culture." A three-star reviewer summed it up with, "Can be amazing for some people, horrible for others." There are certainly many explanations for variability in employee reviews, including their individual boss, job assignment, or location. On the whole is appears that the very best places to work aren't necessarily the customer service leaders. Glassdoor also asks employees whether they approve of their company's CEO. The average rating for the top 20 customer service companies is 87 percent, compared to the 69 percent Glassdoor average. 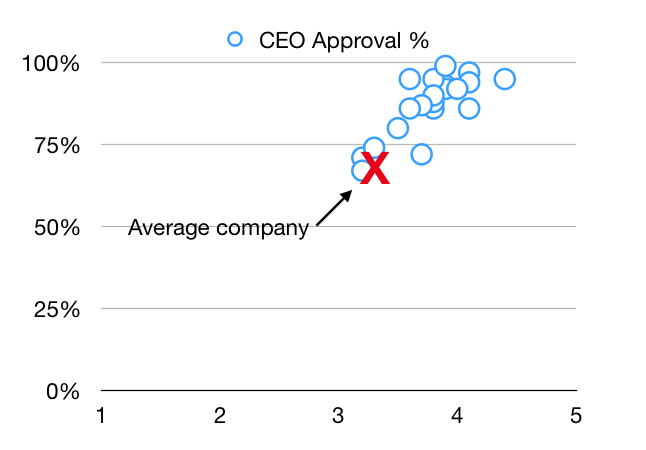 Just one company (LG, 67%) had a lower CEO approval percentage than the Glassdoor average. There's plenty of anecdotal evidence to support the reason for this correlation. Employees tend to blame company leadership for poor service, while leaders of customer-centric organizations are often studied, profiled, and copied due to their successful track record. Granted, this data provides a limited snapshot. Yet that snapshot seems to show that happy employees are at least correlated with happy customers. That doesn't mean that making employees happy automatically leads to happy customers. United Airlines is #55 on Glassdoor's 2018 list of best places to work even though the airline has one of the lowest customer service ratings in the airline industry.